Amy Sillbaugh, manager of clinical development at VNA of Ohio, encourages respite care as a critical piece of home healthcare to prevent caregiver burnout. Respite care offers relief for the caregiver by providing full-time patient care from a trusted partner for a specific time period (ex. five days a week, or just on Mondays) in the home or off-site. One example is providing around-the-clock care for a loved one when an individual or family is traveling. Who Provides Respite Care Services? When choosing a respite care provider, be sure to select an agency that has a full array of professionals on staff to meet your needs. For example, some clients only need non-skilled care, such as help around the house or transportation to medical appointments. However, other clients may need care for medical conditions in addition to managing daily tasks. Be sure to find an agency that has the staffing and flexibility to tailor its services to your needs, rather than the other way around. 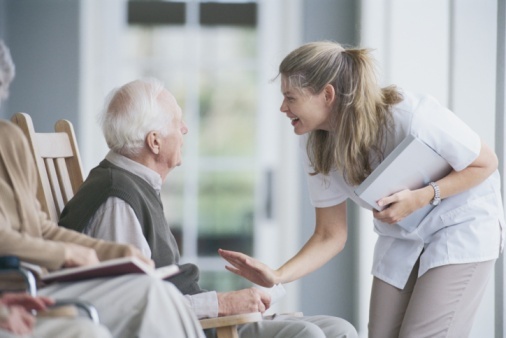 Each client is assigned a care manager, who is a registered nurse. The care manager develops a personalized care plan for all of the client's needs, and assigns the right team of Home Assist™ staff to the client or caregiver. Also, it's important to trust your respite care provider. Be sure to ask prospective agencies about background-checking their staff. At VNA of Ohio, for instance, Home Assist™ staff members are CPR-certified, insured, drug-tested and background-checked beyond the legally required minimum. Looking for a respite care provider? Learn more about Home Assist™, Visiting Nurse Association of Ohio's companionship and personal care service, or call us today at 1-877-698-6264.